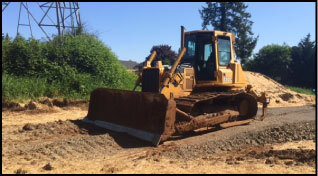 Brian Clopton Excavating is a diversified site work contractor specializing in all phases of commercial, residential, and public works projects. The Cloptons started their business in 1984 with a single backhoe and a vision to grow. More than three decades later, Brian Clopton Excavating is one of the most respected excavation contractors in the Northwest because our team has never lost sight of what is most important — hard work & great customer service. We have the foundation and all the necessary resources & management needed to complete your next project!